What does the RRLRAIA do? As Baltimore County continues to grow and develop, issues affecting the well-being of area residents are constantly surfacing; issues such as traffic speed and congestion, zoning and development, environmental quality, preservation of open space, crime control and prevention, and neighborhood enhancements. The RRLRAIA works with local legislators, environmental planners, law enforcement officials, and neighborhood associations within our membership area to address these issues head-on as they arise. What areas does RRLRAIA serve? The Association’s boundaries are: the City/County line to the south, the Beltway to the north, Falls Road/I-83 to the west, and Charles Street Avenue to Joppa Road to the east. 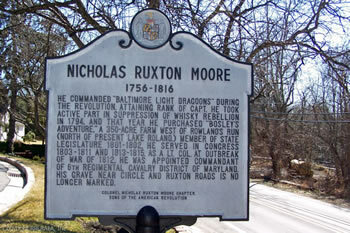 The Ruxton-Riderwood-Lake Roland Area Improvement Association was formed on January 29, 1953, when a neighborhood organization meeting drew more than 200 residents to adopt a constitution and bylaws. Its purpose was to be a permanent, well-manned organization on alert for encroachments and threats to community life…to keep residents informed and bring such problems, as well as community needs, before appropriate agencies. Its first project was to prevent the new I-83 link from being routed through Ruxton past the L’Hirondelle Club and over Lake Roland. It also vigorously promoted the interceptor sewer line and additional lines to help stop pollution in Lake Roland, and it was active in numerous zoning issues. Its first officers were: W. Page Dame, chairman of the board; James E. Hooper, president; F. Barton Harvey, Jr., vice president; Charles D. Harrington, treasurer; and Mrs. E. Lawrence Dinning, Jr., secretary and assistant treasurer.